Under private ownership of the Goff family for the last 35 years, the pub is located in one of the state's strongest gaming LGA's and consistently ranks amongst the very best gaming hotels in Sydney. The hotel is strategically located within the commercial/retail heart of Rockdale, across the road from the train station and surrounded by several large council car parks. It features irreplaceable core trading attributes such as a 24 hour liquor licence and 30 gaming machines with only 15 currently in the smoking solution. Sam Handy said the Grand Hotel represented one of the most anticipated Sydney gaming pub opportunities over the last five years. "Assets such as this are seldom publicly offered to market and this was reflected in a keenly contested process which yielded five offers to purchase. 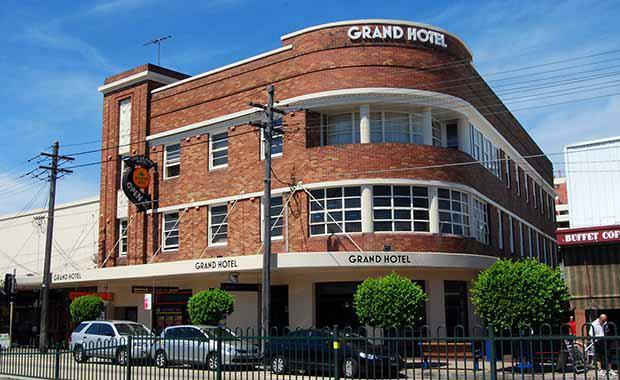 "The market has recognised that there is a diminishing availability of Top 50 Sydney gaming pubs with irreplaceable locational business drivers such as those demonstrated by the Grand Hotel. "JLL have transacted in excess of $285 million in Sydney pub sales across 25 separate transaction in 2014 and this particular sale ranks alongside their other gaming pub transactions this year including the Vegas Hotel ($25.12m), Palms Hotel ($22.5m), Wiley Park Hotel ($15.5m) and the Crest Hotel ($19.2m).